An epic run. Then we died. 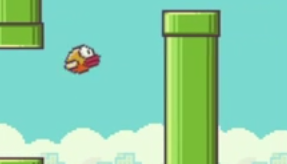 Flappy Bird is one of those games that looks deceptively simple and is anything but. You must time your flaps between pipes carefully, or else you'll end up crashing. In our latest video walkthrough, we show you how far we can get in Level 25 - and it's actually further than you may think. Who knows, you just might get there someday. Might.